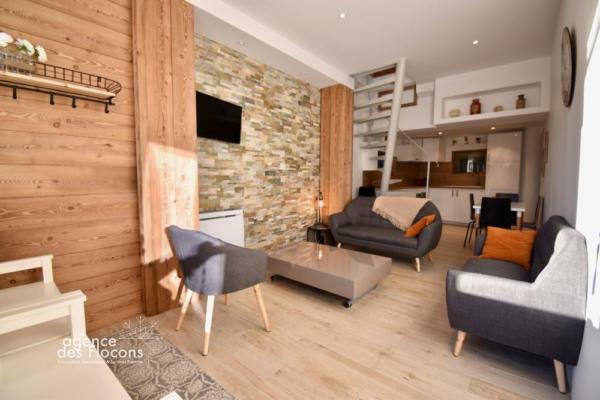 In the center of the resort, just in front of the Village des Enfants, ideal location for this completely renovated 4 rooms apartment. 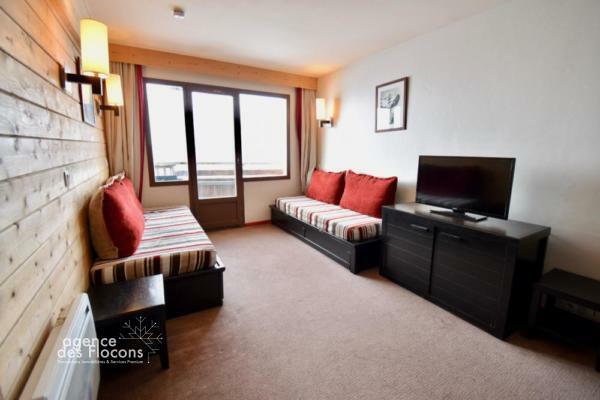 This apartment, overlooking the terrace of the condominium of Portes du Soleil A, offers independent access as for a cottage. It has, at the entrance, a beautiful south-facing living room, a fully equipped kitchen, 2 large bedrooms each with 3 beds and a big storage area, a large bathroom and independent toilet. Upstairs, a beautiful bedroom suite with its south exposing balcony and its independent bathroom, will eventually seduce you. 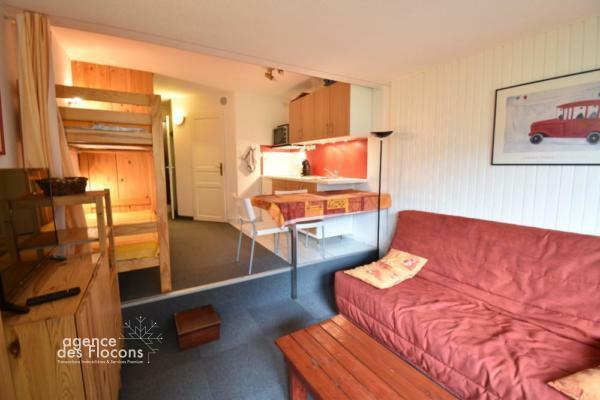 This apartment is sold with the enjoyment of a ski locker. A convenient location, a comfy full renovated duplex apartment for 8 persons, south facing, with a nice view! 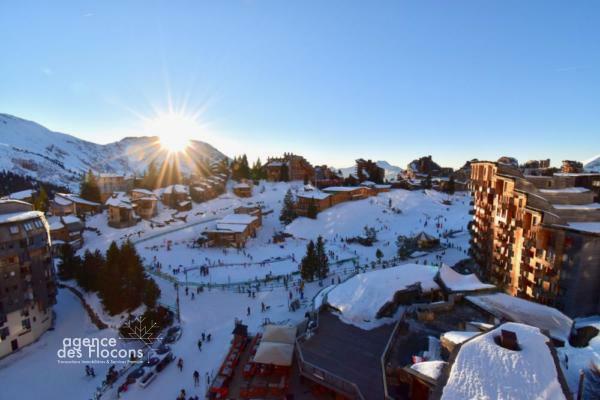 Share the post "Beautiful 3 bedrooms duplex, Portes du Soleil (Sales agreement signed)"